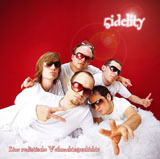 5idelity - Die Pop a-cappella-Band aus Ilmenau. Unsere Musik. Auch auf CD. We sing almost everything that we get our hands on. It doesn’t matter as long as it is fun! Meanwhile we try to focus on performing our own songs. That “a-cappella” means “without instruments” is probably no big secret anymore. 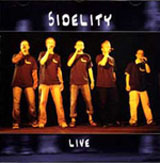 What 5idelity does could be called “Punkappella Comedy Crossover with a handful of Ballads”. A pretty colourful mix which gives room for an occasional Barbershop Song, something folky or a Hiphop groove. Our own songs , MySpace and some video stuff on YouTube. 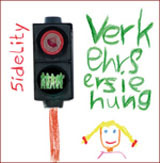 can be ordered at our 5idelity-Shop, can be purchased at the Unicopy Ilmenau or at th Ilmenau-Information.